Tupac Shakur was larger than life. Even though it has been almost 20 years since his untimely demise, Tupac is as relevant as ever. In fact, he may be more so. Equal parts rebel, revolutionary and raconteur, Tupac has, in essence, become Hip-Hop’s patron saint. Now his vast songbook has become the basis for the powerful and poignant musical, Holler If Ya Hear Me. That’s right ladies and gentlemen, Tupac and by extension, Hip-Hop, have invaded Broadway. The Palace Theatre, in partnership with the National Museum of Hip-Hop, is quite literally transformed to a shrine to Hip-Hop music, art and culture. Holler If Ya Hear Me deftly uses the songs and poetry of Tupac to tell the story of far too many people of color in America today. Prison, apathy, gun and gang violence continue to define and curtail the aspirations of so many. America still eats it young. 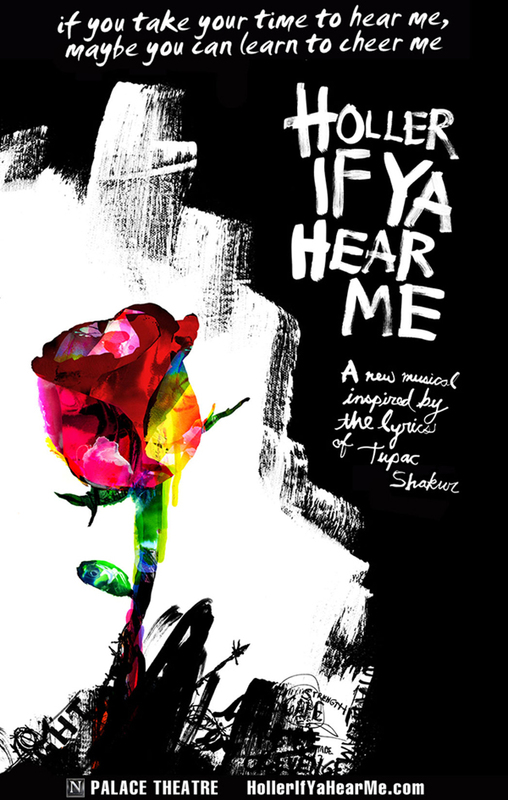 Directed by Kenny Leon and written by Todd Kreidler, Holler If Ya Hear Me is more than a musical, it is something akin to an old school religious revival that pulsates with the power and passion of Hip-Hop and Tupac’s searing lyricism. 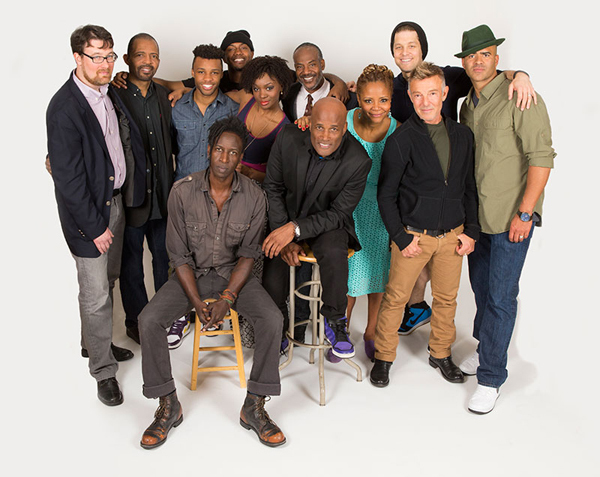 The talented cast, led by Saul Williams and Christopher Jackson, is absolutely incredible, rapping, singing and dancing for the duration of the performance. The set is also a whirl of movement that manages to add and not subtract from the show’s dynamism. Hip-Hop has truly reached the Great White Way and it may never be the same again.